Eugene Yukechev is a designer, typographer and type designer who drifts between Berlin and Moscow. He was born in Novosibirsk, Russia, in 1980. After obtaining a degree in philology and independent practice in editorial and graphic design, Yukechev moved to Moscow to study type design. He’s a graduate of British Higher School of Design in Moscow (2010) for the Type and Typography program. Since 2013, he runs a Moscow-based Publishing Schrift and Type Journal online (typejournal.ru) with his colleagues. 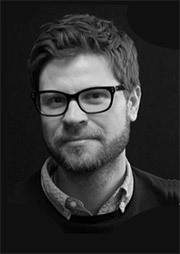 He also designs typefaces for both corporate and editorial use.